Spokane pool lighting is available in a several options. One option is LED lighting. 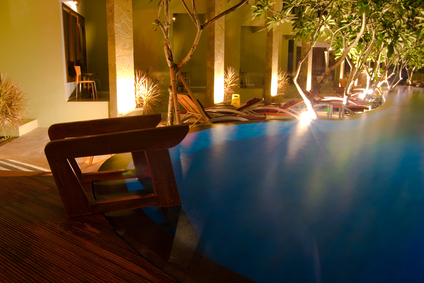 LED pool lighting offers a large amount of light with very little energy use. This can help save a significant amount on your energy bills over the course of a year. LED pool lights are made strong and waterproof which means that they do not require frequent replacing. Fiber optic lights are powered through fiber optic cables which are water proof and safe to use around your pool. The use of fiber optic lighting also allows the homeowner to change colors of the pool light, which allows you to be able to change the ambience of your pool lighting. Underwater lighting is considered one of the best options for Spokane pool lighting; however, some homeowners choose to have lights around the perimeter of the pool. No matter what type of pool lighting you decide on, our Spokane electricians can handle it! Call today Handyman Electric, LLC to get a free quote and consultation.